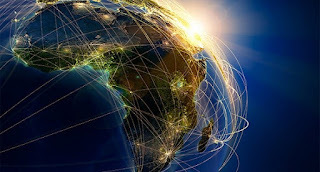 An agreement has been signed by Mitsui Co. Ltd, Convergence Partners, Google, and International Finance Corporation (IFC) to invest in CSquared; a company focused on boosting internet connectivity through metro fibre optics in Africa. The company will carry out operations as an independent entity with headquarters being in Nairobi. The company has capital commitments totaling to Ksh. 10 billion. The company also has operations in Ghana and Uganda, with plans to expand to other countries. The partnership seeks to exploit Google’s expertise and technical knowledge in setting up metro infrastructure as well as the operations associated. In addition, the business alliance is aimed at acquiring enough skills, capital as well as target reach. IFC’s experiences stretched to more than 40 years in support of telco sectors’ development all over Africa. Mitsui has recognized capabilities which cut across various industries and has earned itself a great portfolio as well as global business reputation. The company has experience in the ICT sector, and so is Convergence Partners, which has positive adjectives before its name due to its investments in the Sub-Saharan African regions. Africa still has a long way to go regarding broadband internet access, although this has changed significantly over the last decade. Only 6% of African had internet connectivity, which denies the region a chance to exploit its economic potential. However, this same fact gives rise to a high prospective in the ICT sector. Fibre optics remains to be highly depended on by mobile network companies and Internet Service Providers. Mobile networks set up cellular towers which are connected to these cables to provide reliable wireless broadband connectivity to users. Fibre optics are also being heavily relied on by residential estates, research organizations, educational institutions as well as large, small and medium-sized enterprises for high-quality internet connectivity. Fibre optics, however, are not affordable and thus, not many people can enjoy internet connectivity despite the increased interest in internet services. Due to this, it is imperative to lower consumer and installation costs by putting in place an applicable infrastructure. This is what CSquared aims at achieving, providing quality and affordable wholesale services to legal operators to enhance a digital ecosystem. “We believe that together under CSquared, we can get more done to roll-out and operate affordable, high-speed, and reliable infrastructure to expand internet access in Africa,” Google Vice President, Marian Croak, said. Google launched CSquared in 2013 after identified major hindrances to affordable internet connectivity in Africa in 2011. Project Link was the first company which the tech giant folded to provide a solution.